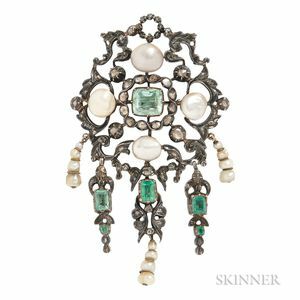 Renaissance Revival Silver, Emerald, and Diamond Brooch, set with foil-back emeralds, rose-cut diamonds, and pearls, suspending five conforming drops in silver and gold, lg. 3 1/2 in. 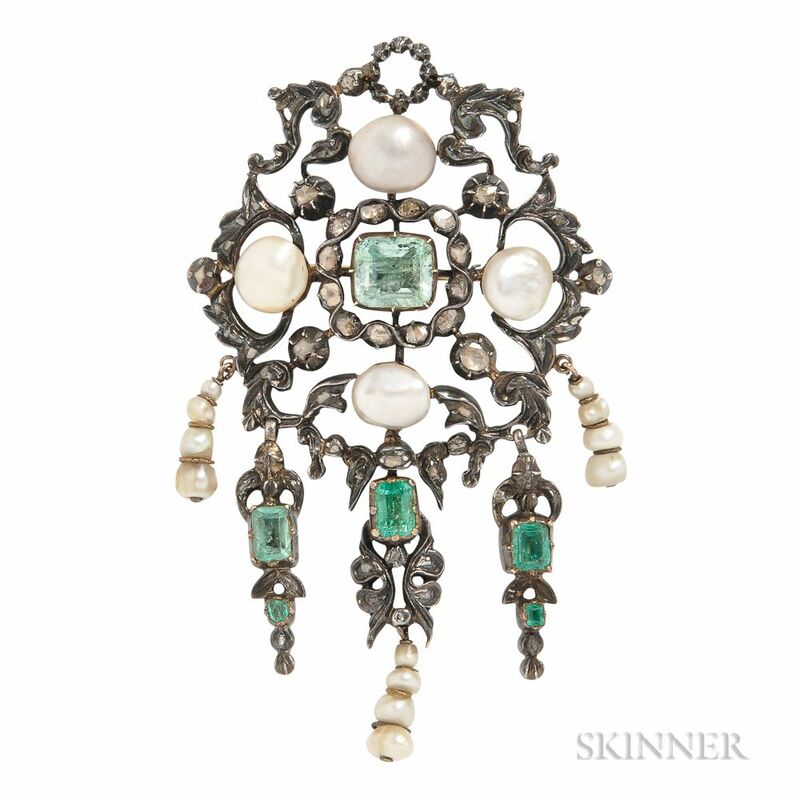 Note: Pearls not tested for origin.